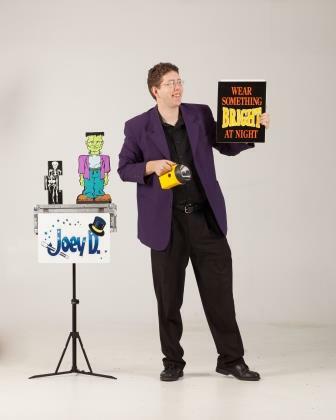 Fill out the form below to get a price quote and other valuable information about Joey D's shows and services. Do you need a Halloween Magician? My Halloween Safety Magic Show is perfect for the weeks leading up to Halloween. During each performance, our guests will be treated to a fun themed magic show and the kids will be tricked into learning how to be safe while collecting candy. I literally am THE Halloween Magician. You will not only hear giggles of delight from the children during te show but you can bet that they will talk about the magician's show for years to come. That means they will remember the lessons too! Plus you will hear tons of compliments from the parents that they are so happy YOU picked this program. As always, I setup my beautiful backdrop and use my sound system and wireless microphone so everybody can hear and enjoy the show. As a special bonus, I also give all the kids a souvenir magician postcard to take home at no extra charge. 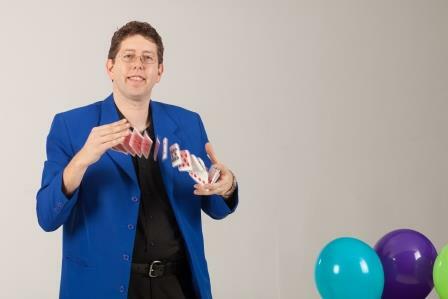 When no other magician for Halloween will do, fill out the form on the top of this page to get more information and pricing on how you can bring this great assembly program to your school ar community event. Check out the video above to see why this Halloween Magic Show is a sellout every October!